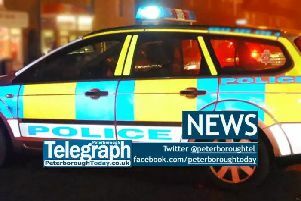 Police have cordoned off an an area around Crown Lakes just outside Peterborough this afternoon. Multiple police and fire units including the force helicopter are at the scene between Yaxley and Farcet. The air ambulance is also at the scene and a search is being carried out around the lake at the Yaxley end. Police are concerned for the welfare of a man who i thought to have entered the water. Further details are not available at this time but police described it as an ongoing incident.